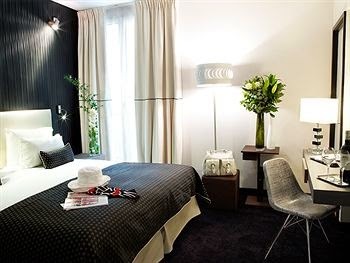 Enjoy vibrant relaxation amongst contemporary style when you stay at the spectacular Hotel Bel Ami Paris, book your travel across WhataHotel! and savor Exclusive Complimentary Perks for an extraordinary deal. Hotel Bel Ami is found in the heart of an awe-inspiring section of Paris called Saint-Germain, and presents lucky guests with newly renovated suites and loads of exciting amenities. 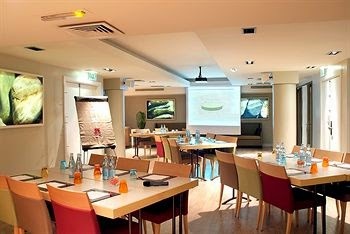 Come experience this energetic section of Paris and stay in a remarkable hotel that is absolute perfection for both business and leisure travelers. Filled with warm furnishings and decor, the glamorous Hotel Bel Ami Paris is a contemporary hotel, in an elegant setting, that caters to every guest. Phenomenal service welcomes each guest as well as a fashionable establishment that beautifully portrays the area. 111 guestrooms and suites are filled with not only comfortable beds and linens, but also modern conveniences and a vibrant atmosphere, ensuring visitors feel welcome. The spectacular Wellness Center by Payoy offers up the perfect spot for a bit of rejuvenation. Guests can book a spa or beauty treatment, sit in the sauna, meditate in the relaxation room or sweat it out in the fitness area; the Wellness Center is the place to go to watch your worries and stresses wash away. 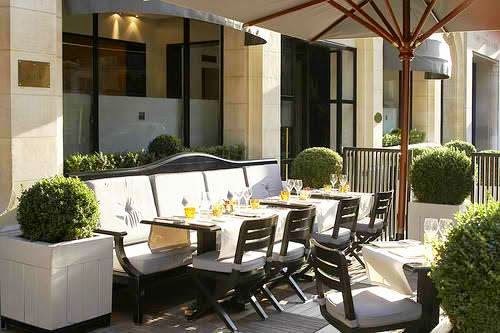 Dining and drinking at Hotel Bel Ami Paris will prove exhilarating for all. The colorful Restaurant Les Mots Passants showcases large bay windows that offer up breathtaking views of the famed city streets while the menu allows patrons to enjoy a hearty meal with a refined flair. 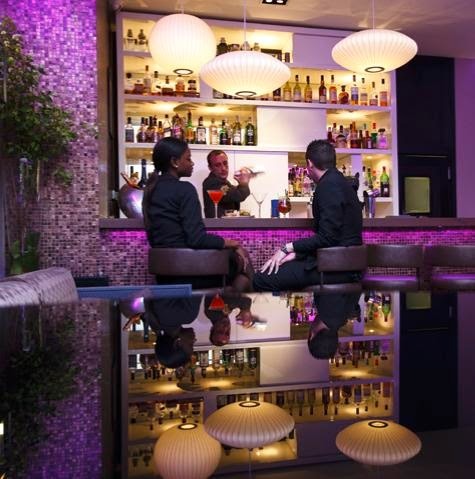 The Bel Ami Bar is a peaceful spot that feels more like an apartment living room that a chic hotel bar . Here guests can relax and enjoy a cocktail or a glass of wine in a truly cozy environment. 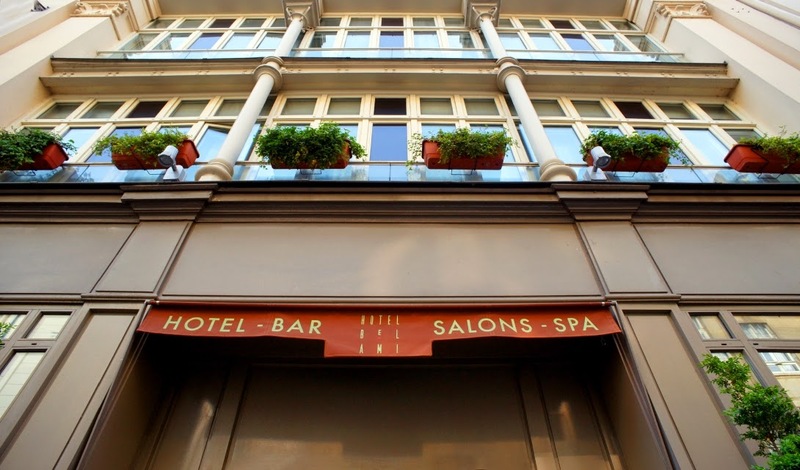 Hotel Bel Ami Paris is the prime spot for tourists to discover the trendy side of Paris while remaining within a neighborhood filled with history, fashion and cafes. When booking your stay at Hotel Bel Ami Paris across WhataHotel!, guests can enjoy Exclusive Complimentary Perks for an extraordinary deal. These perks include available upgrades at check-in, a daily buffet breakfast for two, a welcome drink for two at the Bar and options for an early check-in and a late check-out. Paris attracts tourists by the thousands with its romantic charm, stylish people, exotic language and delightful food. Stay at the ultra-elegant Parisian hotel, Hotel Bel Ami Paris, and allow this hotel to show you first hand the incredible feel of this impressive city.